Organic Evening Primrose Oil is rich in gamma linoleic acid and omega fatty acids which can be used to rejuvenate and moisturize the skin. Being an unrefined organic oil, Evening Primrose has retained most of its nutrients which would make it a wonderful addition to cosmetic manufacturing. 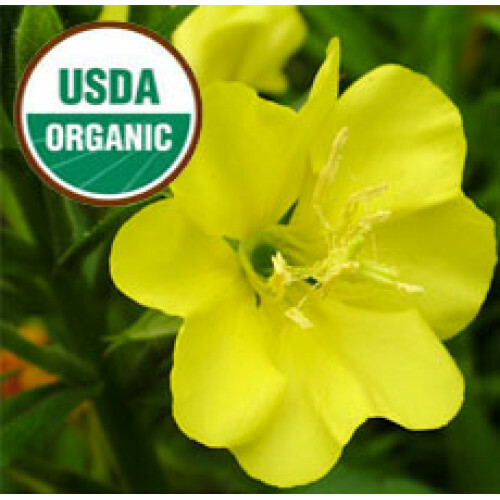 Organic Evening Primrose Oil has a very slight, sweet scent but remains characteristic of most carrier oils.Organic Evening Primrose Oil can be used for soap making and bath and body manufacturing applications. It is used in dilution with other carrier oils suitable for massage. Evening Primrose Oil is reputed to nourish the skin and hair; reduce signs of eczema and fights the effects of aging. Typical and Characteristic of Carrier Oils. Organic Evening Primrose Oil will leave a very oily feeling on skin.